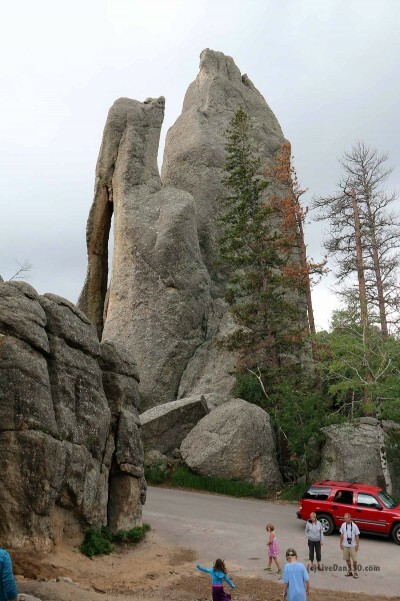 Needles Highway isn’t as much a highway as a trail they let your car drive on. Needles is highway 87 and connects the Legion lake area to the Sylvan Lake Area. From the southeast end (Legion Lake), it starts out winding through pine forests in the Black Hills and transitions into a much steeper and rocky terrain. 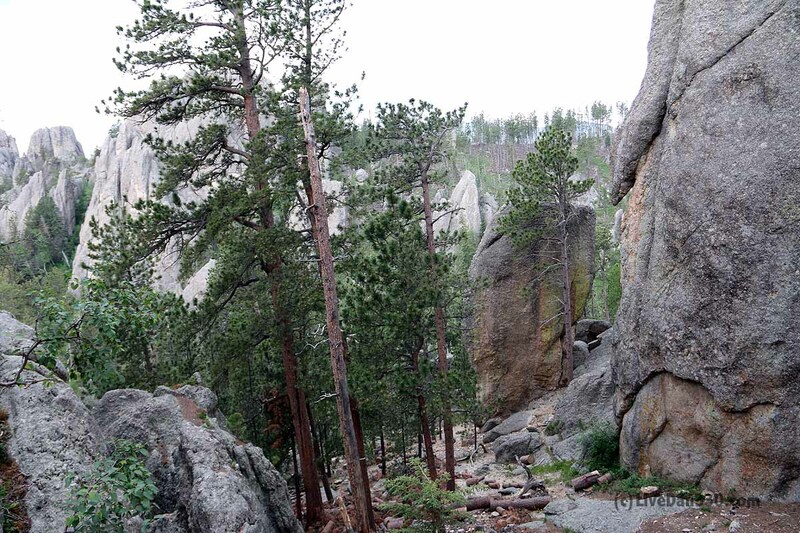 On the northwest end, you can visit Needle Eye, Little Devils Tower and the Cathedral Spires. 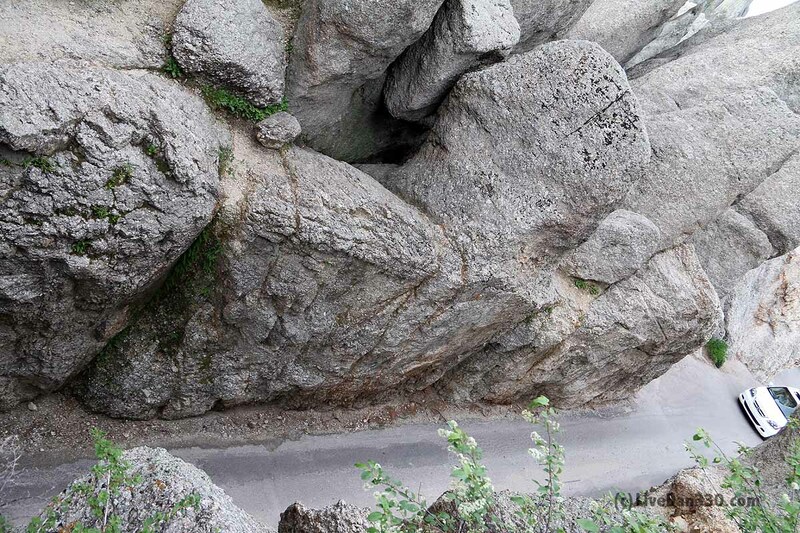 But the most amazing part of the drive is tunnel number 5. 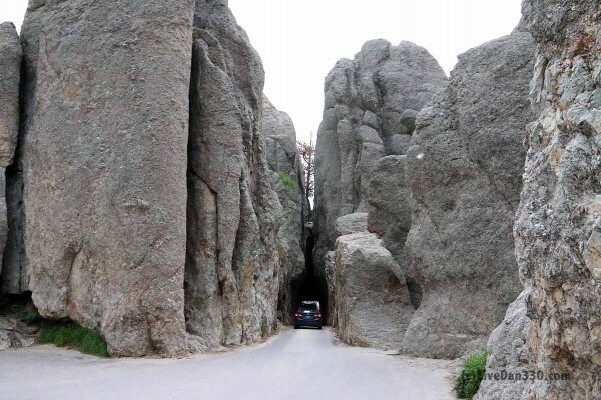 At only 8 feet wide, and barely tall enough to stand up in, this tunnel is an experience to drive though. 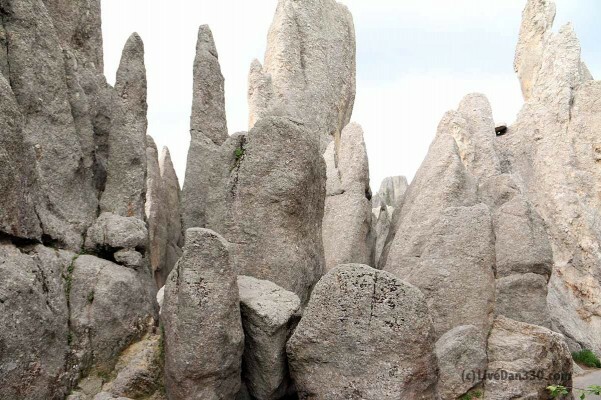 If you park at the tunnel, you can get out and walk around the hills and the rock spires that populate it. Needles Highway was completed in 1922 and has been attracting visitors ever since. 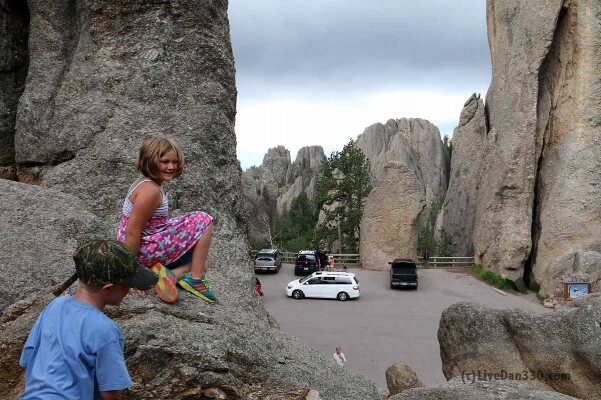 The rock formation in this area of Custer State Park are known as the central core. 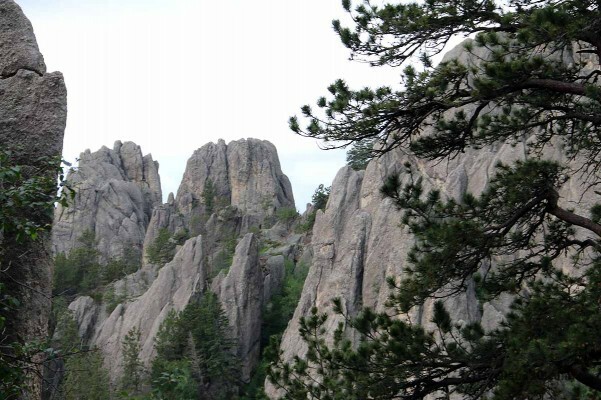 These rocks are some of the oldest rocks in North America dating back two billion years. These rocks have seen vast oceans, uplifts and volcanoes in this very place. 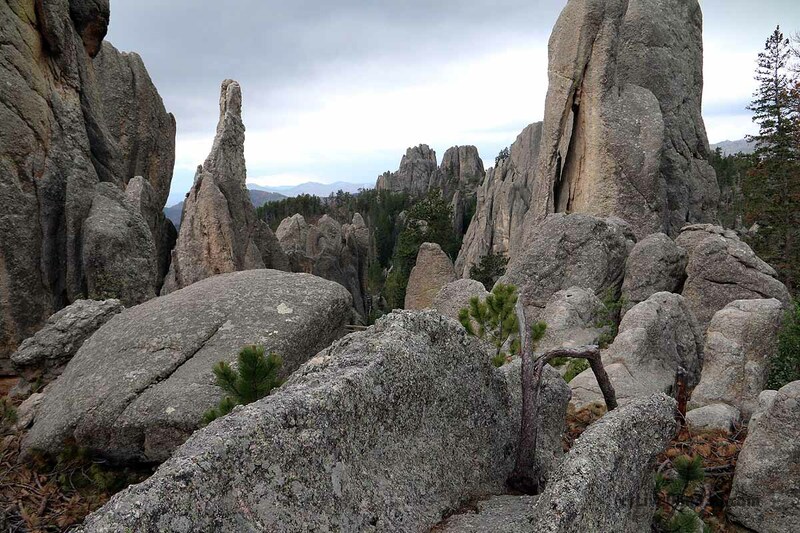 At the end of the day, if you are seeing Custer State Park or Keystone or just driving through the area, Needles is a must-do. 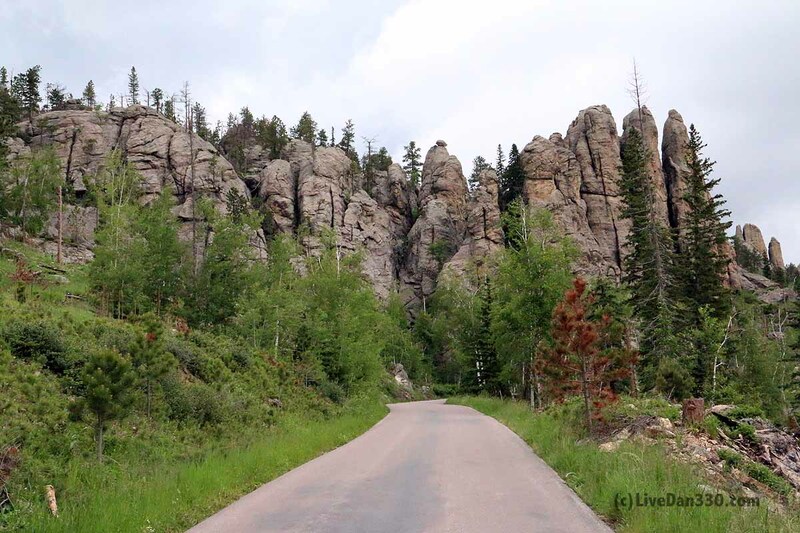 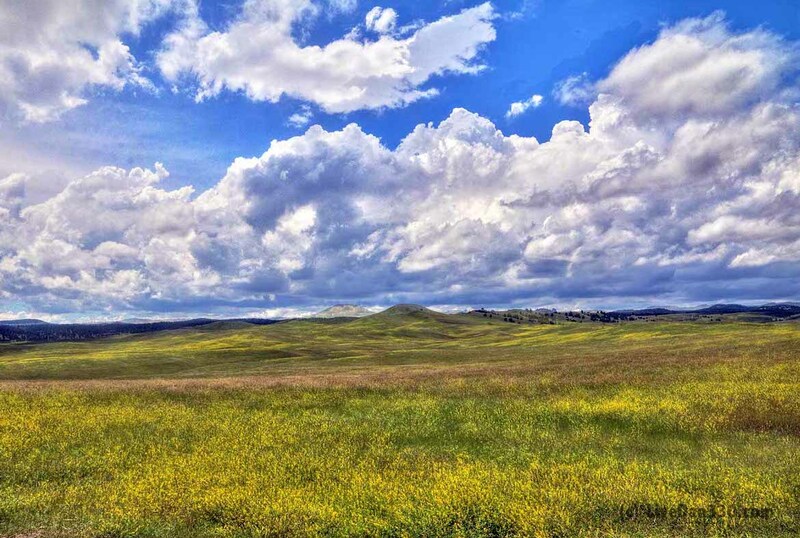 Eye popping views, great terrain, and some very interesting geology make this a great place to drive. You can see how narrow this passage is from above! 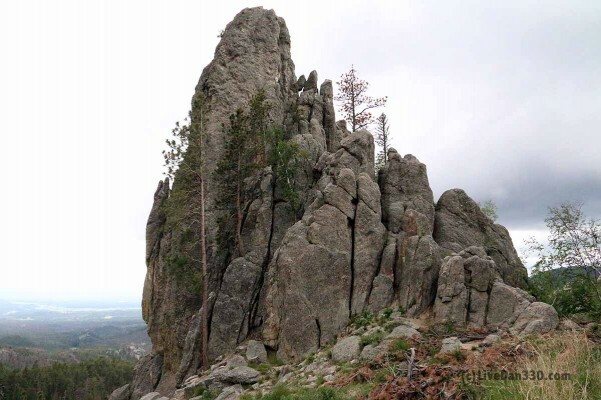 This image is of little devils tower. 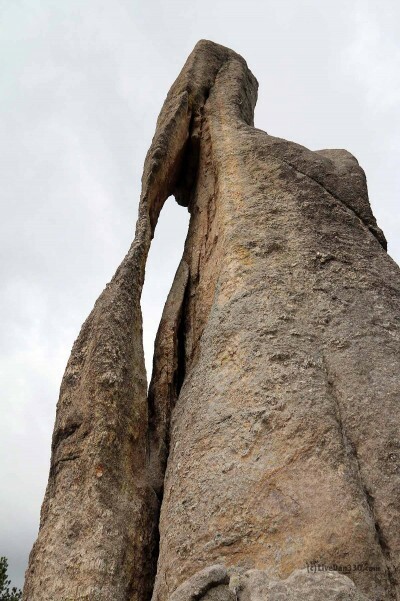 You can see why right away. To see this, you must climb up a few rocks at the needle near tunnel five.